Let’s face facts; making a college decision is hard for students. Typically, they have limited information about what their life will be like at the school, and it can take a significant amount of time to determine which option is best for them. If your child has been wait-listed at their top choice school, their college decision may be even harder, particularly if they have to put down a deposit without their ability to enroll being guaranteed. Some students who are torn about their college decision turn to an approach called “double deposits” to help them gain more time to choose, hedge their bets when they are wait-listed, or to get extra time to negotiate financial aid. But, are double deposits the right approach when there are conflicted about their college decision? Here’s what you need to know. Double deposits involve a student putting down a deposit at two different schools. While your child obviously can’t attend classes at both, it is an approach that can buy a student time when they are struggling with their college decision. It’s important to understand that most deposits are non-refundable, so using this to buy some time before making a college decision can be costly. However, there are situations where it can be a smart move. It isn’t uncommon for students to struggle when it comes to making a college decision. After all, it’s a big commitment and plays a substantial role in how their future will play out. If your child is torn between two schools, a double deposit gives them an opportunity to secure their place at more than one institution. Then, they can gather more information and make a final selection before the school year begins. Sometimes your student’s financial aid and tuition won’t be fully settled when college decision time arrives. As we’ve covered before, in the article “5 Steps to Negotiate College Tuition and Save Thousands of Dollars,” the price for attending a specific school isn’t set in stone, and financial aid packages can be adjusted by the institution. But, negotiating takes time, and your child might not know what their tuition and financial aid will look like right away. In these cases, some students choose to place double deposits so they can continue that process and then select the school that presents the best terms. One solution is to ask the admissions office for an extension. Having your child call the admissions offices at both schools to let them know you are waiting for the results of a financial aid appeal could result in a deposit extension. This actually isn’t uncommon as many admissions offices will grant an extension for that reason though it isn’t guaranteed. When your child is placed on a waitlist, there is no guarantee that they will be able to enroll until the students that were initially accepted make their college decision. This is particularly problematic when your child is wait-listed at their first-choice school but is essentially left in the lurch. When this happens, some students choose to make double deposits, one at their preferred school and another at a backup, so that, if they don’t have a chance to enroll at their first-choice school, they have somewhere else to go. 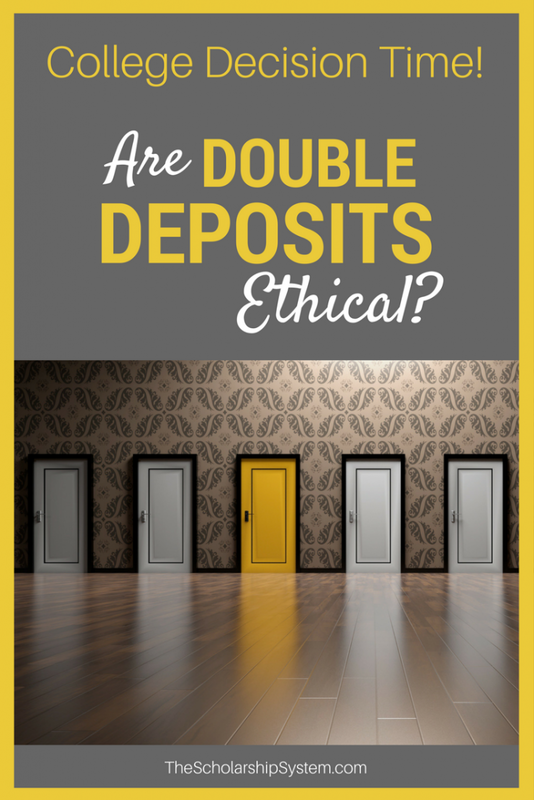 There is a lot of debate surrounding the ethical implications of double deposits during college decision time. Some argue that placing two deposits may deny another student entry into a school since the space is effectively reserved for your child. Others say it isn’t fair to the school that isn’t chosen since they might not have a student actually fill that spot. Additionally, it makes it hard for them to anticipate exactly how many students will be in the incoming class. However, the vast majority don’t consider a double deposit unethical in the case of students who are wait-listed at one school and want to hedge their bets. Since they often won’t know before college decision time arrives whether they will be accepted to their preferred school, it is considered an accepted practice in that scenario. Another point to consider is whether double deposits are actually legal, regardless of the reasoning behind committing to two schools during college decision time. For example, the language on the Common Application’s signature page says that the student agrees only to place one deposit (though the wait-list scenario is a typically accepted exception). Specific language barring double deposits may not be present on every school’s application, though it doesn’t hurt to check before your student uses double deposits as a means of giving them more time to consider their college decision. There is no clear information that a student has ever been penalized for placing double deposits during college decision time, though it is important to understand that there might be legal ramifications for taking that approach for any reason aside from your student being wait-listed at an institution. While students who are wait-listed would likely be exempt from such a policy, it is important to realize that your child’s high school may support that approach. It’s unclear how many high schools actually have a policy limiting the sending of final transcripts to a single college. Additionally, it may be difficult to determine whether your child’s school has such restrictions if it isn’t published publicly or otherwise easily accessible. But it’s important to know that such policies may exist, so using a double deposit to delay a college decision might not work well depending on where your child goes to high school. In most cases, your student will need to make a college decision by May 1, so that moment is coming up fast. Using a double deposit as a means of delaying when they have to make a choice is certainly an option, but, unless one of the deposit is going to a school where they are wait-listed, there are risks involved in going that route. Ultimately, communication is key when it comes to these situations. It never hurts to ask admissions for an extension or ask if you could get your deposit back depending on their financial aid decisions or other reasons. Still, it’s a personal choice whether your child should use a double deposit when they are struggling to make a college decision. But, now you know the potential risks and rewards, ensuring that, whatever action your child takes, it is a well-informed one. 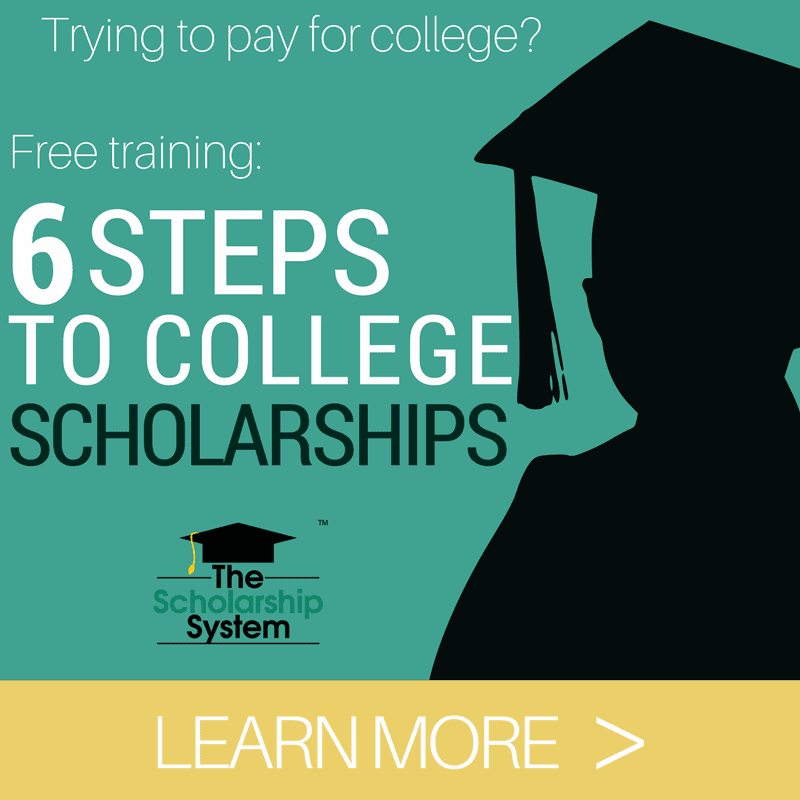 And if you are still trying to figure out how to pay for college, sign up for our free college scholarship webinar. You may be surprised but there are TONS OF scholarships still available. Our free training is a great way to learn how to secure these scholarships.